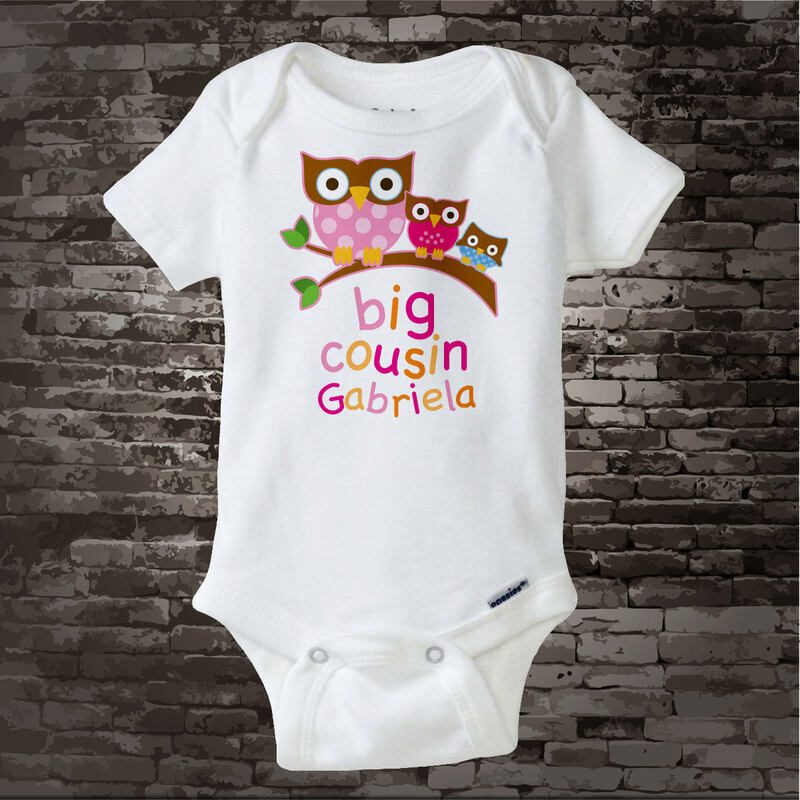 Super cute Big Cousin tee shirt or Onesie with awesome Owls. 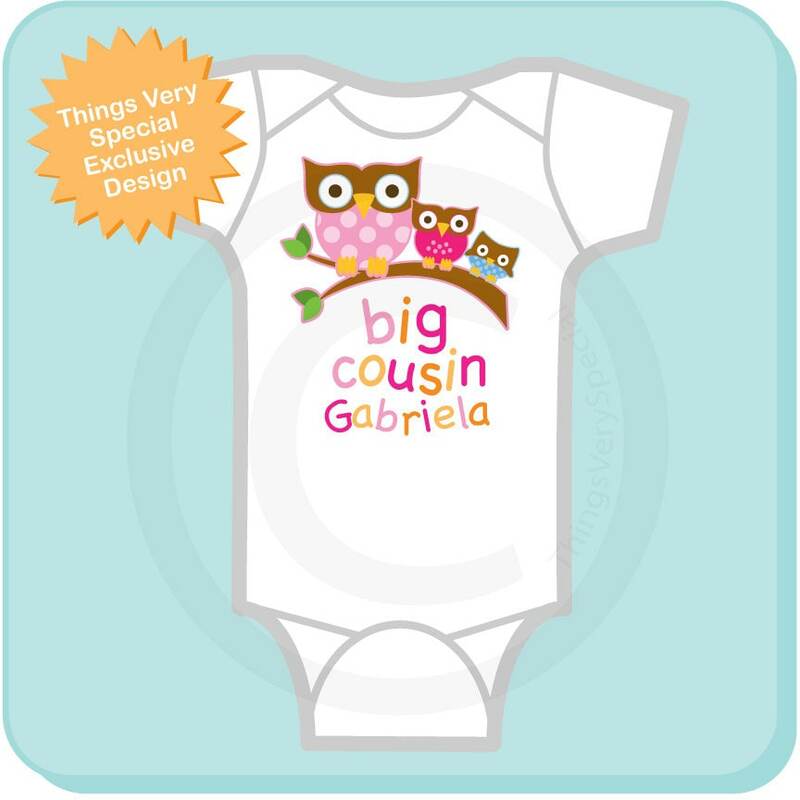 This one is with a big cousin girl, a middle cousin girl and a baby boy in blue but could be a little girl or gender neutral in pink or green. This item can be personalized with the child's name as shown. Color of other two owls.